I kinda want the OP to be quoted every page till next June. Looks like Melo is opting-in. He'll be bought out for sure though. That city hates that man with an undying passion. The balloons in the trunk lmao. It's like a celebration to the wreckage of okc. So perfect. @ShamsCharania: Sources: Franchise star Nikola Jokic expected to agree on five-year, $146.5M max deal with the Nuggets after team option is declined. @wojespn: The Los Angeles Clippers are trading guard Austin Rivers to the Washington Wizards for center Marcin Gortat, league sources tell ESPN. Last edited by EricaLubarsky; 06-26-2018 at 06:52 PM. What on earth will Austin do without Daddy around? Hahahaha! That's some cold chit right there! 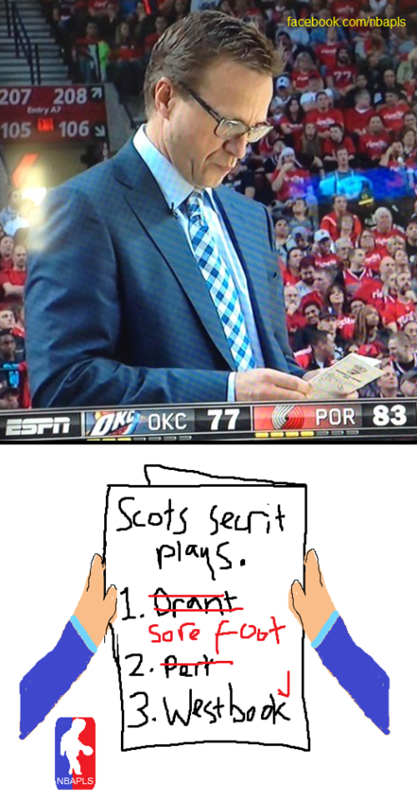 Kind of explains why they turned the Mavs away when they inquired about Gortat. They wanted Rivers over Wes. @Rachel__Nichols: Reminder - Doc Rivers signed an extension as the Clippers’ coach but is no longer running the front office. I'd be extremely surprised if the Mavs offered Wes for Gortat, and even more surprised if the Wiz turned that down. Wes would fit perfectly next to Wall, Beal, and Porter in a small ball lineup. Last edited by EricaLubarsky; 06-26-2018 at 11:23 PM. And Dirk beat all 3 of them in one series... Hell, he beat 5 MVPs in that championship run, including Kobe and LeBron. To OKC's credit, if they had been able to keep those guys together and build around them, it's highly likely they would be winning championships now. But ego's couldn't get along and the team disintegrated. Goes to show that it takes really special players to stay together for the long haul ... ala San Antonio. Honestly 90% of it is the fact that they chose Westbrook and Westbrook was their downfall. A high quality coach may have been the difference early on also. So basically OKC (Seattle) was genius drafting those three guys and then blew it with every decision afterward. It all started when the Owner didn't want to pay Harden 65m or something he was only willing to go to 60m. It was something super retarded and small like that. Literally in the neighborhood of 1m per year on the cap. Very Giannis-Howard like by their owner. Last edited by sefant77; 06-27-2018 at 03:33 PM. In terms of OKC MVPs, it came down to not willing to pay Harden (Ibaka was non-factor here). Also, while Brooks may be a good coach to teach young players, he still is partly to blame why Westbrook can do whatever he wants on offense and on defense. More assertive coach was needed/is needed. If I'm SA I'd be pretty happy with a return of Ingram and either Kuzma or Ball(prefer Ball) and Hart and some scattered picks. Ball was a winning player last season, projects as elite defender and rebounder and his shooting is bound to improve in SA with Chip Englund. Cant see Pop putting up with Lavar though. Maybe they re-route Lonzo for Kemba or another young guy? Last edited by mac222b; 06-28-2018 at 11:29 AM. @wojespn: The Spurs are fully engaged in trade talks with several teams on Kawhi Leonard, including the Lakers and Celtics, league sources tell ESPN. Boston has long had the assets that the Spurs most covet in a potential Leonard trade. Yeah but Boston/Philly cant trust Leonard not to walk next year to the Clippers or Lakers as UFA. Honestly hope he goes to Boston. Strengthens the LEast and I like what they are building there. @wojespn: Indiana Pacers forward Thaddeus Young has exercised his $13.7M player option and will bypass free agency this summer, league sources told ESPN.